Serving Chicagoland for five generations, our team is ready to help you envision your home’s possibilities and bring them to life. This large bathroom was given a beautiful makeover, making the best use of every inch and giving our clients more than they ever hoped for. This ornate kitchen took beautiful details to a whole new level. See how we brought it from "wood" to "wonderful!" This Mount Prospect family had some "HGTV Dreams" when they came to us to make their vision come to life. Who says basements are just for kids? This Prospect Heights couple took their bonus space back for the adults, and it's spectacular! After five generations, we’ve seen it all. We know what works (and what doesn’t). Our team is prepared to solve any challenge or unexpected bump in the road to keep your project on time and on budget, ensuring you’re 100% thrilled with the final result. Since Christian Kautz began his business in 1900, our family—and product offerings—have grown. However, our team of professional interior designers, product specialists, project managers, and expert craftsmen remain just as committed to our clients as the day our business was founded. "John and his team did a fabulous job on my bathroom remodel. They had great ideas. They were neat, clean and a pleasure to work with. Would recommend them in the future." "OHi was very easy to work with. They had great ideas and were always available. Since we both work, they were flexible in meeting with us! We love our new kitchen and couldn't be happier!" Whether you’re spending $5,000 on upgrades or $150,000 on a complete remodel, our team is committed to getting it done right. Work with your dedicated relationship manager, designer, and project manager throughout your project to discover your possibilities and find the best solution for your space. Benefit from the expertise of five generations, which developed our proven process, designed to keep your project on time and on budget. Visit our one-stop showroom where you can see and feel every detail before you commit. Collaborate with your dedicated team of experts who oversee every detail of your project from start to finish. Work with a team of trusted, in-house craftsmen who respect your home and deliver the highest quality craftsmanship. Get your project done the right way, the first time. We back our craftsmanship with a warranty and only work with partners who stand behind their products. Feel confident in working with a family who will roll out the red carpet for you and ensure you’re satisfied with the end result. Serving the largest names in healthcare, retail, and property management across the country, our team has decades of experience in commercial flooring and installation, as well as full-service commercial interior remodels. How Much Will Your Kitchen Remodel Cost? 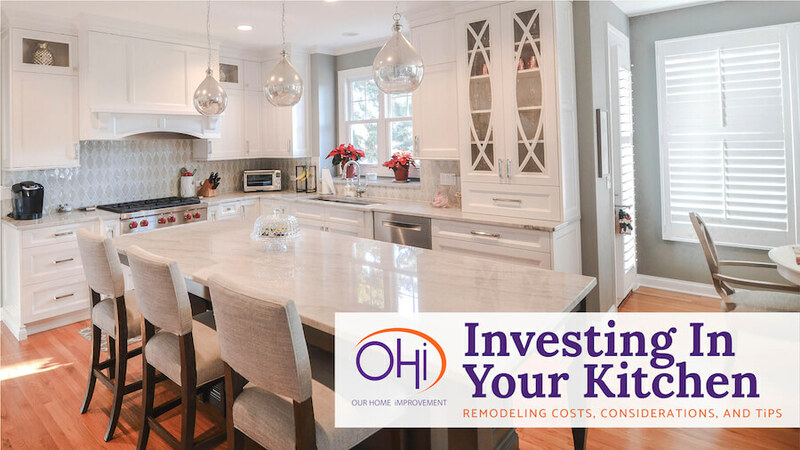 One of the first questions many homeowners ask prior to tackling a remodeling project is, “What will this cost?” and, subsequently, “Is it worth it?” Your kitchen is no exception. The heart of your home, the kitchen serves as a conduit for relationship building. After all, where food is shared, hearts are warmed and memories are made! Read our guide and discover what your kitchen remodel might cost, and where you can expect those dollars to go. Sign up to receive design inspiration and exclusive offers. Discover endless possibilities. Whether you’re looking for inspiration or are ready to meet our team who can bring your dream to life, stop by our Elk Grove Village showroom to experience first-hand every product, material, texture, and design element. After five generations, we have pretty high standards when it comes to the quality and craftsmanship of the products we install. That’s why we only work with brands that offer products we know will look good and stand up to everyday use for years to come.